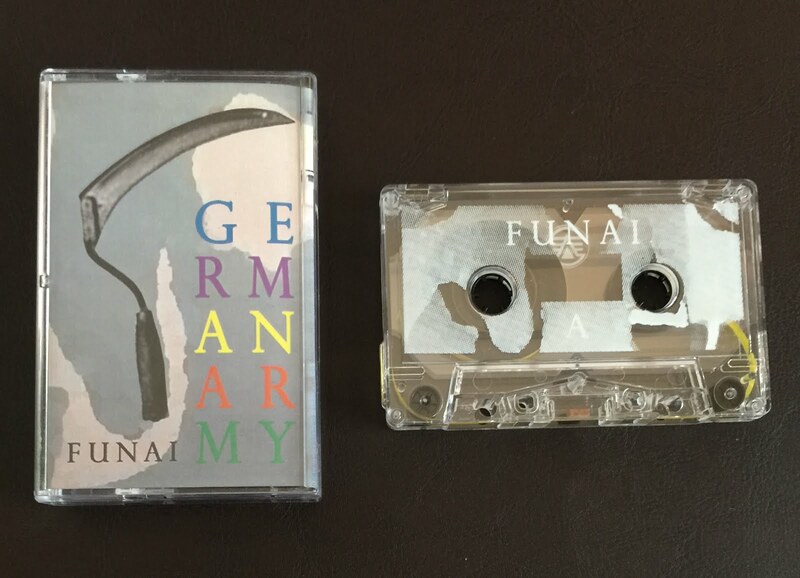 German Army might be the most prolific name in the tape game right now, and it’s not particularly close. They pretty much release new music at the same pace I write these Cassette Gods reviews, and this one is my 176th in the past year and a half! OK, maybe German Army aren’t as prolific as me (and who is), but they still release music at an insane rate. I’m barely even including offerings by solo and other projects, like Q///Q , Final Cop, submissions, and Peter Kris himself. I like to think, though, that German Army is the antidote to the sunshine, a dank, post-punk throbbing missile aimed at the smiling masses. (Go ahead, use that in your press release, just give me some credit.) These electro a-holes dump krautrock, Suicide worship, vintage and probably broken keyboards, and wacky samples (wacky I say!) into a blender and hit “frappe” over and over until a black, chunky sludge emerges. Then you drink that sludge. Over here on the East Coast that sludge tastes incredibly refreshing. I wish we could import more of that California sludge. Maybe that’s what they drink instead of water there. I’m not sure where a good starting point is for German Army because there’s just so dang much out there, but man did I enjoy Funai, and I want you to get in on this, on the ground floor. (Although, I guess, the ground floor here is like fifteen stories up? My metaphors are falling to pieces like crazy today.) Listen with your ears fully tuned for creeping madness and industrial decay, and you won’t be disappointed. I’m not – I never was.